Discover Relational EMDR, the evidence-based intervention that transforms the memories underlying trauma and creates safety and hope through the client-therapist relationship. Trauma clients need a clinician with both training and heart to help them overcome their pain. With Relational EMDR you can leverage EMDR's proven ability to change the impact that traumatic memories have on the brain while leveraging the full healing potential of the client-therapist relationship—to offer clients not only relief from symptoms but hope for a better future. 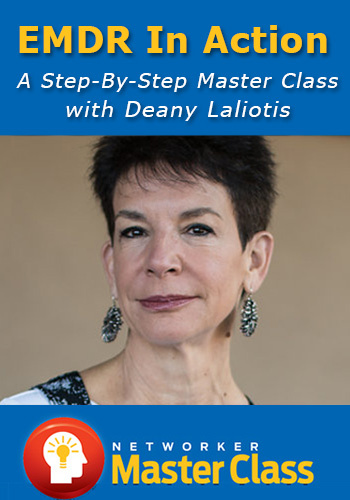 Now, in this all-new Master Class, join Deany Laliotis, LICSW—Director of Training for EMDR Institute and associate of EMDR originator Francine Shapiro—to experience the life-changing power of Relational EMDR in action! Through powerful in-session videos and in-depth, therapist-to-therapist conversations, you'll get inside access to four remarkable single-session breakthroughs with actual clients struggling with deep-rooted trauma, attachment wounds, shame, anger, and depression. Learn how to attune to clients to enhance the power of your work and discover how to increase positive outcomes, avoid clinical impasses, and help clients resolve traumatic experiences once and for all. This is an essential learning experience for both EMDR-trained and non-EMDR-trained therapists who are ready to bring a new dimension of healing to their current therapeutic approach. Don't miss this opportunity to experience Relational EMDR's ability to dramatically improve outcomes—even with the most challenging cases. Today Only $229.99 — An Unbelievable Value! Plus, earn up to 13 CE Hours — included in the course price! Master the ability to break the bonds of trauma, shame, depression, and anger so your clients can experience full aliveness! Dramatic clinical demonstrations with in-depth analysis by Deany Laliotis and fellow psychotherapist Rich Simon, make this all-new Master Class an essential learning experience. These sessions showcase the clinical mastery of Laliotis and demonstrate Relational EMDR's transformative approach to working with trauma, attachment wounds, suicide ideation, shame, depression, and anger. Laliotis will guide you through these five step-by-step modules to prepare you to incorporate the Relational EMDR approach in your practice. Meet Amy, an experienced and skilled EMDR therapist who has found herself stuck and triggered during a session with a challenging client. Realizing that the impasse is likely related to herself, not the client, she has come to Laliotis for help. In this evocative session, you’ll observe the effectiveness of Relational EMDR to guide clients through long-term traumatic stress to reach a place of security and confidence. In this live Q&A recording, Laliotis answers specific questions about incorporating EMDR into your clinical practice. While EMDR is best known for its treatment of trauma, it has developed into a comprehensive psychotherapy approach that treats a broad spectrum of presenting issues across various clinical populations. This workshop is for practitioners who are interested in learning more about this highly effective, evidence-based approach that can treat a wide range of problems from single traumatic events to relationship problems, self-esteem issues, and complex trauma. Underlying all the techniques and methodologies for treating trauma today is a core set of fundamental skills that determine a clinician’s effectiveness in this challenging arena of practice. Watch Deany Laliotis identify and explore in-depth the clinical skills that transcend theoretical paradigms, bringing together all that we know about trauma treatment. Help your clients understand their traumatic experiences and create a safe environment for them to heal. This video, features Deany moderatoring a panel of trauma experts that includes Janina Fisher, Don Meichenbaum, Mary Jo Barrett, and John Brier. Get fresh perspectives and insight into trauma treatment through compelling presentations and engaging exchanges. The devastating world of war-related trauma impacts many of our clients. In this special Networker magazine case study, discover the fascinating story of how EMDR helps a young Iraq War vet and his wife emerge from the nightmare of his war experience. Read specific strategies that EMDR expert and author Nancy Errebo, Psy.D., used to guide the couple through the anger issues (and a resulting restraining order), fear, shame, and PTSD to a place of healing and hope. Deany Laliotis LICSW, is the originator of Relational EMDR— a comprehensive relational EMDR psychotherapy that focuses on the transformational healing of complex trauma and other challenging cases as well as the ongoing personal and professional growth of experienced therapists. 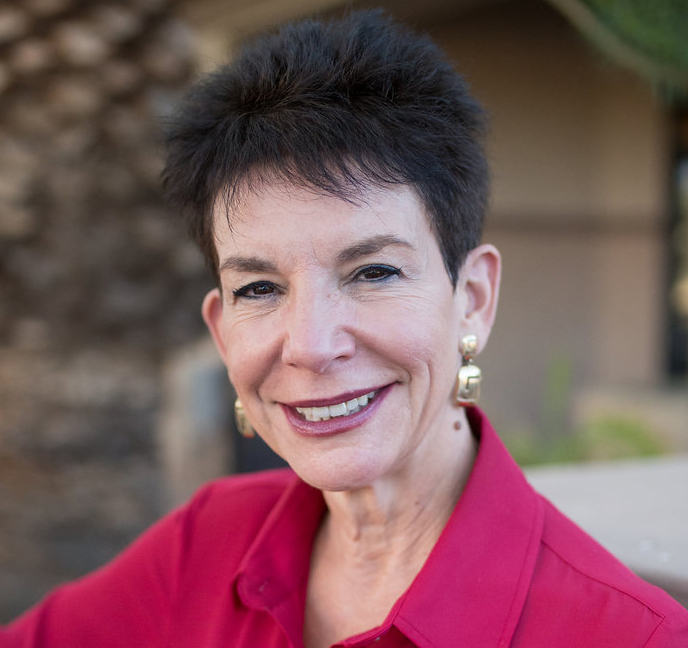 Deany is Director of Training for EMDR Institute, a senior faculty member and co-author with Francine Shapiro of the Institute’s Training Curriculum. Deany offers private advanced trainings, master classes and in-depth professional development retreats in Relational EMDR around the country. Deany is in demand internationally as a presenter, master trainer, case consultant and keynote speaker. Financial: Deany Laliotis is in private practice. She is a senior trainer for EMDR Institute, Inc. Non-financial: Deany Laliotis has no relevant non-financial relationship to disclose. "Deany is a phenomenal speaker, presenter, and truly a healer. It was such an honor to learn from her, and her transparency in her work is amazing. I will take so much from this training into my own work with clients." "Deany's training and information is inspirational! I believe that I will be able to incorporate the information and tools into my existing skill set and start using it immediately with clients." "Deany is very real and authentic and vulnerable in a strong way. I greatly admire and respect her. My goal is to be as good as she is at interweaving some day. She truly has a gift!" "Deany is such a gifted teacher and mentor. It was very helpful to have the opportunity to weave together in real-time what we were learning in the lectures, discussions, and videos." Access 5 modules of in-depth training, plus 4 additional free bonuses, all designed to help you effectively integrate the latest insight from Deany Laliotis' Relational EMDR approach to help you improve your client outcomes. Click here for course objectives and outline. Review all the course materials at your own pace and at your convenience! Watch your email for the order confirmation and link to get immediate access to all course videos and materials online. Plus, use the CE21 Mobile™ app to access the course content on-the-go, wherever and whenever you want on your mobile devices. Complete your online CE tests and earn up to 13 CE Hours! 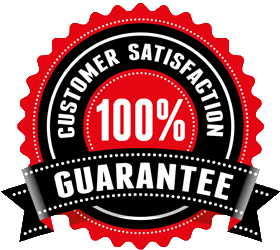 Click here for total course CE Credit and approval details specific to your profession.